This is one of my favorite exercises when it comes to prospecting. This is my Dodgers All-Prospect Team. There’s a lot of talent listed below. This team is based on 2018 minor-league performance and not necessarily a reflection of where they rank within the system, but age and competition level is also taken into account. On the whole, it wasn’t an overly impressive season for Ruiz. But keeping in mind he was playing in Double-A at age 19, the stat line isn’t too bad. His second-half performance was encouraging, as he hit .310/.357/.421 in 140 plate appearances. And he has carried that into the first five games of Texas League playoffs (9-for-22, 1 HR, 1 K). He could take off in a big way in 2019. Joe was an unheralded trade acquisition last September, and his first year in the Dodgers’ organization was Max Muncy-like. The corner infielder hit well in Tulsa and earned a midseason promotion to OKC and continued to hit there. He has shown good plate discipline, power and the ability to limit strikeouts. He could see time in the majors next season as he’ll need to be protected from the Rule 5 Draft, if that’s something the Dodgers want to do. Jackson had a breakout seasons of sorts in the Dodgers’ system. The uber-athletic middle infielder showed some added power in his second season in the system while playing against advanced competition. Like Joe, he’s Rule 5-eligible this winter, and his performance this season could land him a spot on the 40-man roster. Bannon ended up winning the California League MVP despite being traded at the MLB All-Star break. He was having a tremendous season for Rancho before the trade to Baltimore for Manny Machado. Since the trade, he hit just .204/.344/.327 for Double-A Bowie, so he’ll have to re-establish his prospect status for the Orioles next year. Lux was our MiLB Player of the Year, and you can see why with the above stat line. He OPS’d better than .900 and looked every bit the 1st-round draft pick he was just a couple years ago. He made it to Double-A in his age-20 season and continued to produce. He’s a legitimate Top 100 prospect and could challenge for the Top 50 on some lists. Diaz was the biggest piece to go to Baltimore in the Machado deal. Before he was moved, he was my No. 2 prospect in the org. It was tough to lose him because he was in the midst of a breakout season (predicted by yours truly). Like Bannon, Diaz struggled a bit in his first taste of Eastern League ball for Bowie, but he’s still a premium prospect and did enough to take this spot. The system’s No. 1 prospect, Verdugo showed a bit more power this season while controlling the strike zone better than almost any hitter in the system. Hopefully this is the last time he’s eligible for this squad because he has nothing left to prove in the minors. He’s a premium prospect and should see plenty of time in the majors next season — with or without LA. Thomas is a bit old for such a raw prospect, but being a two-sport star in college will do that to a player. He enjoyed a solid season for the Quakes, and his second-half performance was encouraging. He reduced his strikeout rate by 6 points from July through the end of the season while also improving his level of offensive production. He still has some issues, but he could be a breakout prospect come next season. Gonsolin was the best and most consistent pitcher in the Dodgers’ minor-league system this season. With the move from the bullpen to the rotation, there were questions about how he would handle it. Well, he passed the test. He got the midseason promotion to Double-A and continued to pitch well there. He could see LA as early as next season. Kremer was tracking to be the org MiLB Pitcher of the Year before he got traded to the Orioles. He had an incredible season after pitching mostly out of the bullpen last season. His future is bright in either the rotation or bullpen. May pitched well for most of the season. Some fatigue got to him late, but he still had a solid performance. His strikeout numbers dipped a bit, but I’m going to chalk it up to the workload and facing older competition in Double-A as a 20-year-old. With a strong 2019, he could be one of the best prospects in the system prior to 2020. Uceta threw nearly 100 innings with Great Lakes and was really good. He missed bats, limited walks and kept the ball in the yard. He earned a late-season promotion to Rancho Cucamonga where things didn’t go nearly as well (7 home runs allowed in 20 2/3 innings), but the 20-year-old made some waves in his first full season. He’s not a physically imposing guy, but the results have been there so far. He’ll be a guy to watch in 2019. Chacin almost hit 100 innings in his third pro season after spending his first two seasons in complex ball. His calling card is his command/control, which is among the best in the system. It might be a bit too good as he allows a lot of hits and doesn’t miss as many bats as some of his counterparts. But he’s a quality pitching prospect who should continue to improve as he climbs the ladder. The 2017 13th-rounder made his name known with dominant performances in A-ball. He struck out 93 hitters before getting a promotion to Double-A. Two of his four home runs allowed came in Double-A, but he still missed bats with the Drillers (34 K%). He’s a bit wild, but he has solid stuff and is easily the Dodgers’ best relief prospect. Scrubb enjoyed a solid season that saw him make the Midwest League All-Star team. He was promoted to Rancho and pitched better with the Quakes (0.38 ERA) than he did with the Loons (5.10 ERA). He’s a little wild, but he does have good stuff that should induce strikeouts. Curry had an almost even split between relief innings (49) and starter innings (46 1/3), and he fared much better as a reliever (3.31 ERA, 32.4 K%, 0.55 HR/9) than he did as a starter (5.05 ERA, 18.0 K%, 1.94 HR/9). His stuff plays up out of the bullpen and he’ll probably stick there from now on. He could move quickly next year if he handles Double-A well enough. Sborz had about a 2/1 split between Triple-A and Double-A workload, and he had his strikeout stuff at both levels. He pitched exclusively out of the bullpen this season after pitching exclusively as a starter last season. 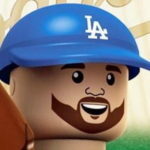 This is his ultimate home and is Rule 5-eligible, so the Dodgers will have to add him to the 40-man roster if they don’t want to risk losing him. Jagiello showed he can strike hitters out, but he also showed his command/control still needs a lot of work. Still, there’s some good upside in his arm and could be an interesting relief prospect to monitor over the next couple of seasons. This is probably the last prospect-heavy post until the 2019 Top 100 kicks off in January. 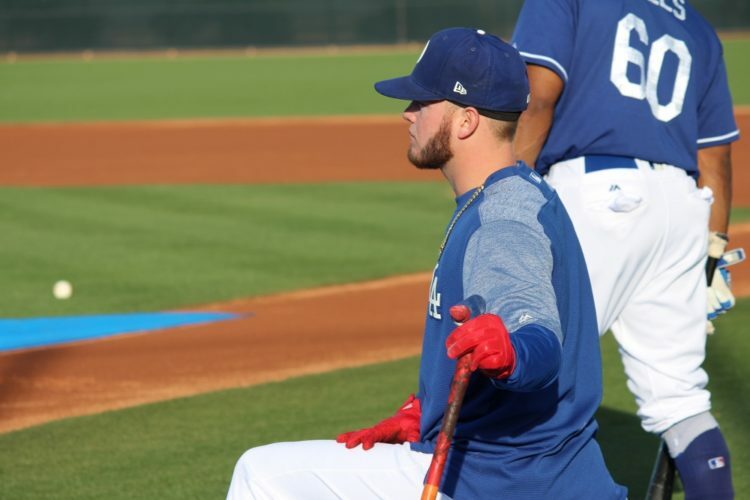 The state of the system is still pretty strong, but there are going to have to be some players who need to step up if the Dodgers want to maintain a Top 10 farm system.